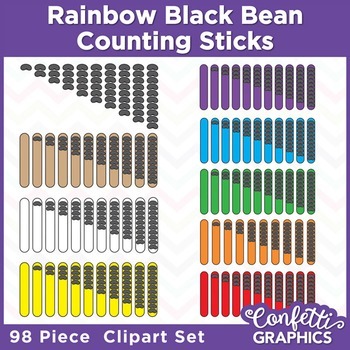 Huge 196 piece clip art BUNDLE of Rainbow Counting Sticks with White and Black Beans. 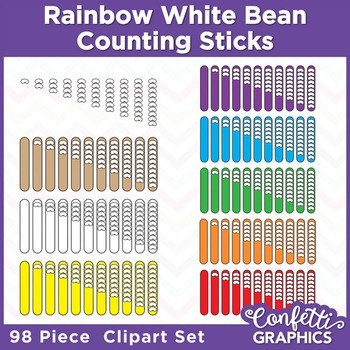 Comes in 8 colors plus a set of loose bean counters. 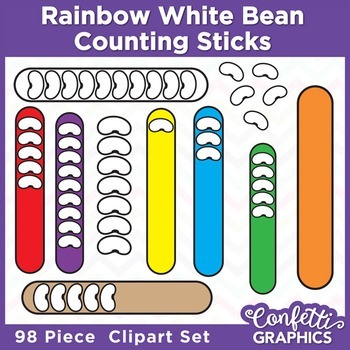 Each color includes bean counting sticks in numbers 0-10. 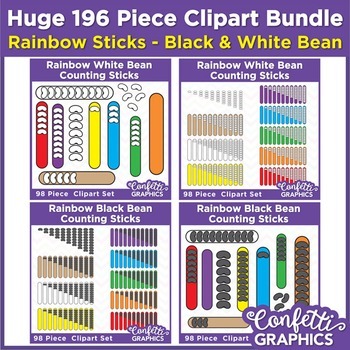 (See second picture for all items included).